Last week I flew home from Minnesota to Pennsylvania. After getting up at two-thirty in the morning to get ready and get my two tiny ones into the car on the way to the airport (why do I ALWAYS choose morning flights? ), I was pretty disheveled by the time we boarded our connection. But not so disheveled that I didn't notice there was NOT ONE PERSON READING ON OUR PLANE. Not one. Making my slow way back from the bathroom across the crowded aisle, I glanced left and right with rising incredulity. Really? Not even a grade schooler with his nose in Percy Jackson? Not even a businesswoman reading The Four Hour Workweek? No one glued to a copy of All the Light We Cannot See? Nope. Just movies, games and snacks as far as the eye could see. Not even an e-reader in sight. English teachers, what are we going to do? Is the era of the book over? No way. Without books, we lose critical opportunities to understand people and situations we might never otherwise know. We miss out on the beauty of human language and its wonderful intricacies. We say goodbye to untold happy hours lost in new worlds as we curl up in tree houses, on airplanes and beaches, in waiting rooms and other rooms where we might not want to be. We lose empathy and hope, joy and richness. Recently in my Facebook group, Creative High School English, someone posted a major problem. In her school, teachers face the challenge of students who simply do not have to read. Their parents read the books for them and fill them in each day over breakfast. What to do? She wondered. Group members wrote many thoughtful responses, often highlighting the usefulness of audio in helping their students engage with a text in class before encountering its challenges at home. I agree that audio has many benefits. I love audiobooks and podcasts. I've even started my own podcast, and it's a rare workout that doesn't feature someone's voice in my ears. But this question has simmered in my mind ever since. Because though I like audio very much, I haven't turned to it very often in my classroom, and for many years helping students fall in love with reading has been one of my core motivations. For me, helping my students develop a true love of reading that will carry across multiple disciplines and throughout their lives revolves around choice reading. Each year I teach two curriculums - the designated one for my students' grade level, and a separate free choice one. Each informs the other, but I believe I most often help students fall in love with reading through the free choice program. I hear many concerns about choice reading, as well as many success stories. It's easy to be nervous that students will only choose easy books, or that the richness of the canon will soon be lost if we turn our classrooms over to YA and dystopia. That's why it makes me so happy to offer you the option of a blended curriculum. You can have the canon AND let students read whatever they want. I bet you do it all the time. How many books are on your nightstand right now? I bet you're reading a novel for class, a novel for pleasure, maybe even something in the nonfiction category when you're in the right mood. True readers want different types of books at different times, like true gourmands want variety for their palette and travelers don't just return to the same beautiful city time after time. So, are you with me? 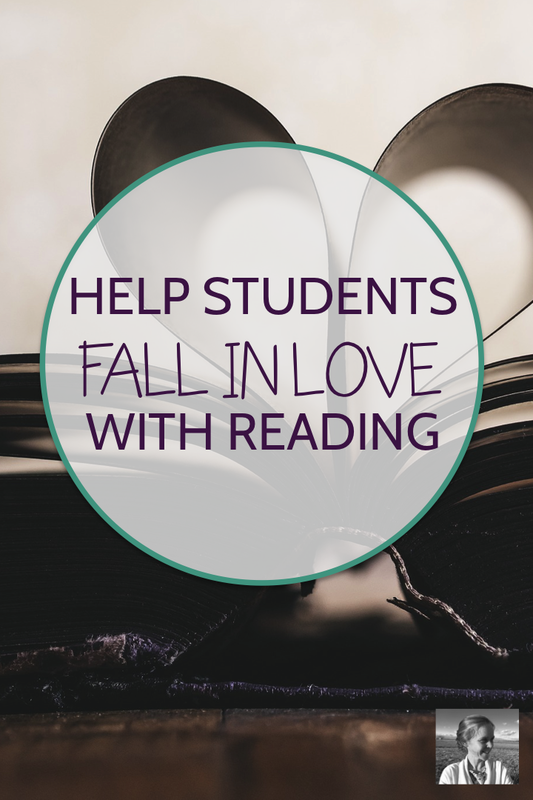 If you're willing to experiment with some choice reading to complement your full-class curriculum, here are five steps you can take to help your students fall in love with books. You might be thinking that students have access to your school library and your community libraries already. But somehow it is wildly different to pass by attractively displayed books day in and day out than to know they are behind walls not too far away. You can shop for books at rummage sales, library sales, thrift stores (do you know some neighborhoods have Goodwill book shops? I've been to one! ), Powell's, the Amazon used book section, and more. You can also reach out to parents and community members in a mini-book drive, asking them to unload their used books and let you sort through for winners. I've put together a short list of books that have been super successful in my own classrooms, if you're looking for some good titles. I stumbled onto Nancie Atwell's work when I first began choice reading teaching in Bulgaria. I loved every page of it. One of her major pushes is for doing book talks for your students, and experience has taught me that she is right about this. You can put the most wonderful book in the world on display, and some readers will pick it up. But give it a sixty second pitch in which you tease the plot, explain why you liked it, and compare it to other similar books and it will rocket off your shelf. I do a lot of book talks myself, but I also invite students to do short ones when they finish books I know they loved. Since it's completely ungraded, they are often willing to say a few words about why they liked a book, especially if I help them along with some questions. To heck with "intrinsic motivation is all that matters," half the world runs on extrinsic motivation. I don't think there's anything wrong with giving my five-year-old his allowance after a stellar week of bed-making and helping clear the table, and I don't think there's anything wrong with putting up a fun prize or two in a reading contest. My tenth graders in Bulgaria once read a combined seven thousand pages in a month with nothing more on the line than a class picnic with home made dessert. No grade or assignment of any kind, just a fun contest where everyone who read a great book already won. I like to throw in a few extra challenges for my super readers. I create Bingo cards of titles or genres for them to try out and offer prizes for those who get a Bingo. Sometimes I'll offer a challenge to read a certain book over a vacation or a weekend. An easy prize is to do a book discussion of the challenge book at lunch following the challenge, and order pizza or bring donuts for everyone who completed the challenge. One of the most critical components of my choice reading program is to offer a consistent chance to read in class. It's usually just about thirty minutes a week - long enough for students to actually get into their book while I'm cruising around and checking in. At first I read my own book at my desk, looking up every now and then and taking note of students who look fidgety and unengaged. Then I head out for a lap, leaving the super engaged alone and trouble-shooting with the bored. I will often switch out books for students; if they are not able to read for thirty minutes in class, there is no way the book will hold their attention outside of class. We talk for a while about the most recent book or books they enjoyed, and I help them find something else in our classroom library. More than anything else, building up my students' love of reading has been about the personal relationships I can build with them. 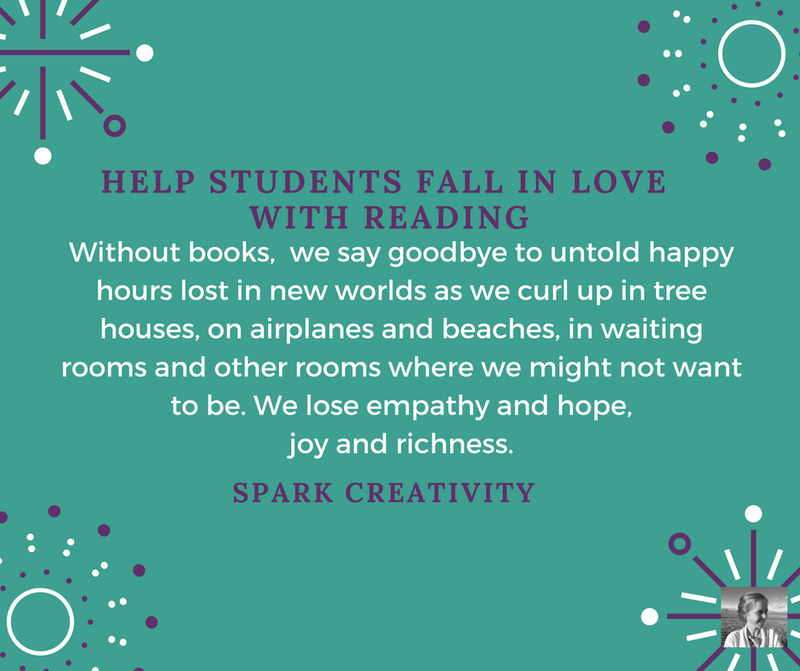 As I get to know them and find them books they care about, they begin to love reading, or, more rarely, strengthen the love they already have for it. It's a process that gets better throughout the year as they read. To get the whole process started, you need a basic assignment of some kind. I use a differentiated assignment to get them started, in which they choose what grade to go for and the corresponding number of pages they will have to read per term. To show me they've read, they will turn in book reviews for each book at the end of the term. These help me see how they are enjoying their reading, and also give me some basis for grading their reading. This is always a relatively small part of the grade, but a hugely important part of the work I do with them. For a quick check-in along the way, you can also try "Book hashtags." Simply take five minutes to have students jot down the hashtags they would use to describe their book on Instagram, then ask them to share those hashtags with partners or small groups and explain why they fit their books. 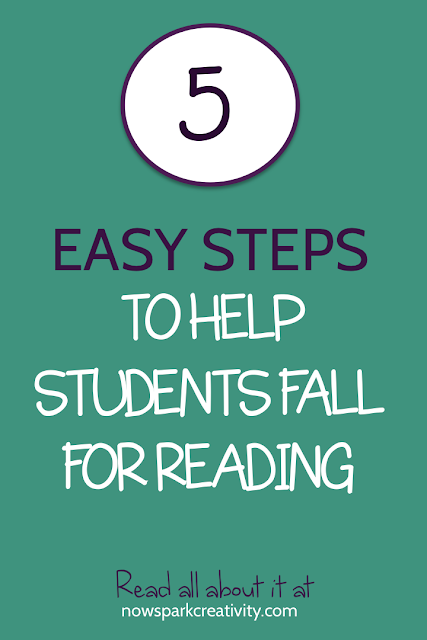 This is a super speedy way to help expose new students to great books. Sign up below and I'll e-mail it to you today! A basic assignment, a great library, regular book talks and in-class reading times, contests and challenges, these are the components of my reading program. And what fun we have! I love to watch students progress from beach reads to literary classics, from an offhand choice of Paolo Coelho to a deep tour through all of his works, from dystopia to fantasy to modern fiction with a smile on their face. 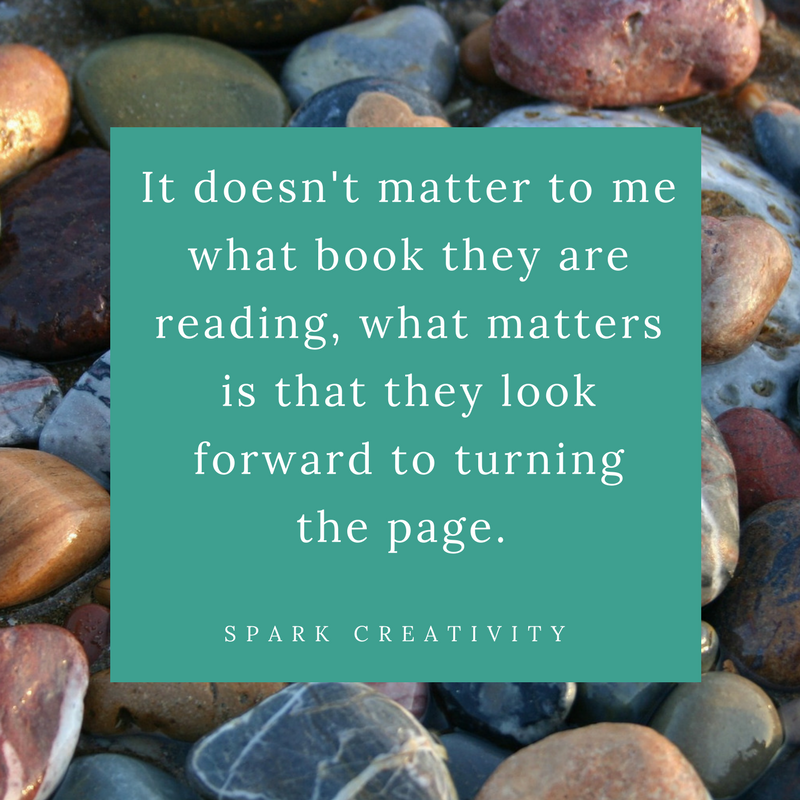 It doesn't matter to me what book they are reading, what matters is that they look forward to turning the page.